Take-Two Interactive CEO Strauss Zelnick says that too much of a good thing is not a good thing. In 2009, industry analyst Michael Pachter said Take-Two Interactive would see a significant increase in its stock price if it would just release games on a more "compressed schedule." In 2010 he essentially repeated the complaint, stating that Take-Two games take two years longer than the industry average to develop and "until the company can streamline its average development time... it cannot deliver sustainable profits." But in 2014, Take-Two appears to be riding high, Grand Theft Auto is bigger than ever and Zelnick says he has no intention of trying to wring more out of the franchise than he's already getting, telling MCV that oversaturing the market risks damaging the permanency of the franchise. "It is great that consumers anticipate our titles, like they anticipate the next James Bond film. Our goal is to create permanent franchises," he said. And whereas Take-Two relied primarily on physical game sales in the past, the advent of DLC allows fans to "engage and spend money on an ongoing basis," alleviating some of the pressure to produce rapid-fire sequels in order to maintain revenue streams. "70 per cent of people that have played Grand Theft Auto V while online have played GTA Online, which is a free-to-play experience. And recurrent consumer spending related to GTA Online represented nearly half of our digitally delivered revenue in the quarter," he said. "So people are voting that they want to stay engaged and they are voting with their wallets." It's certainly a different approach than the annualization championed by Activision and Ubisoft, and the drop in Take-Two's share price following its impressive third-quarter financial results lends credence to Pachter's concerns. 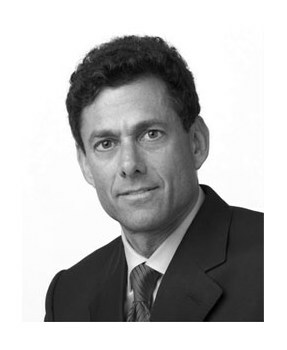 But from a gamer perspective, Zelnick's unhurried attitude is most definitely welcome.